The cut-off period for most retail categories is four minutes, according to a new report from M/A/R/C Research. It's no secret that long wait times are a simmering shopper frustration, but how long is too long? At grocery stores, more than four minutes can jeopardize a customer’s loyalty, said a research firm that released new shopper data last week. A study conducted in early 2007 by M/A/R/C Research found that 10 percent of shoppers were exasperated enough to leave a checkout line if the wait was lengthy, and the marketing research firm decided to run an online survey of almost 13,000 consumers this year to discover the importance checkout times had on their most recent shopping trips, and whether attitudes had changed since the earlier study. The results were consistent with last year's findings, said the research firm. As in 2007, the new study showed that shoppers' satisfaction remains high when in line four minutes or less in all store categories. The only exception is for club stores, where an average wait time slightly over four minutes was deemed still acceptable by those surveyed. After four minutes, the satisfaction levels drop considerably across the other seven categories: grocery, consumer electronics, department, drug, home improvement, mass merchandisers, and office supply stores. Sterilize canning jars. Wash, trim ends and cut beans into 4 " pieces. Pack beans, lengthwise, into hot jars, leaving 1/2-inch headspace. To each pint, add 1/4 teasponn cayenne pepper, 1 clove garlic, and 1 sprig dill. Combine remaining ingredients and bring to a boil. Pour boiling liquid over beans, leaving 1/2 in space in the jar. Remove airbubbles, and close jars. Process in boiling water for 5 minutes. Let stand at least 2 weeks to develop flavor. 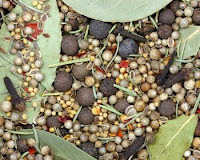 Combine a gallon of water with 1/2 cup pickling salt and heat until the salt dissolves. Allow the brine to cool and pour over the cucumbers. Brine the cucumbers overnight, weighing them down with a plate to keep them submerged. Drain the cucumbers and dry. Add the seasonings. Pack the pickles in the jars. In a saucepan, bring the pickling solution to a boil. Pour over the cucumbers and run a rubber spatula along the sides to release any air bubbles. Seal the jars. 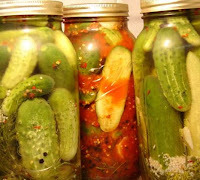 Process the pickles in a simmering water bath (180 degrees) for 10 minutes. Remove from the water and let sit for 24 hours. Test the lids to see if they are sealed and store in a cool, dark, dry place. Let stand for 4 to 6 weeks before using. This is a very simple pickle recipe that can be prepared in just a matter of minutes. Be sure to marinate the pickles for at least an hour to blend the flavors. Place the cucumber chunks in a non-reactive bowl. In another bowl, whisk the remaining ingredients together until combined. Allow the pickles to marinate for an hour. U.S. Foodservice and the Marine Stewardship Council(MSC), two months ago announced the introduction of 28 new MSC certified sustainable seafood products to the U.S. Foodservice Harbor Banks® brand. 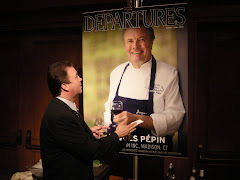 ''Chefs are thought leaders in the industry; they have an influence beyond their own restaurants,'' says Ken Peterson of the Monterey Bay Aquarium's Seafood Watch. Seafood Watch publishes pocket guides for consumers (see box). Of greater impact, it has gotten big food-service companies like Aramark to use more sustainable seafood. ''Certification is the way,'' says Polita Glyn, head of the Pew Fellows Program in Marine Conservation at the University of Miami's Rosenstiel School of Marine and Atmospheric Science, which gives fellowships to researchers, lawyers, writers and others in the field. In the same way that organic certification fueled demand for meat and produce raised without chemicals, Glyn, Peterson and other experts believe sustainability certification will bring market forces to bear on behalf of the oceans. ''You don't need a postgraduate degree in marine ecology,'' says Peterson. The benchmark program is run by the London-based Marine Stewardship Council. It's MSC-certified seafood that Wal-Mart sells. Looking for the MSC label takes the pain out of being ethical. Finding it, however, isn't an easy matter -- at least not yet. ”A spokeswoman for Whole Foods Market said all the seafood the company sells is sustainable, yet at its Red Road store I could find only four MSC-certified species in the big seafood section. 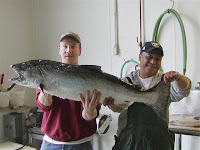 And one of them, wild salmon, cost more than $30 a pound -- four or five times the price of farm-raised.” Said ENRIQUE FERNANDEZ in his article Sea Change: The Quest For Sustainable Living. Even the retailer that critics sometimes call "Whole Paycheck" is getting in on the money-saving action as consumers worry more about high food prices. Austin, Texas-based Whole Foods Market yesterday launched a series of in-store tools called "Value Shopping Tips, Tours, and Top Sellers" to help shoppers find deals throughout the store and stretch their food budget without sacrificing quality. "We want customers to know there are many ways to continue enjoying quality foods on a budget, even during times of worldwide food inflation," said Bruce Silverman, Whole Foods' "Value Guru" and global v.p. of the company's private label program. "These tools are aimed at helping direct shoppers to the best values in every department in our stores." 1. SHOP THE SPECIALS - Each store has weekly and bi-weekly specials, which can be found online and in the stores' flyers. 2. SAVE WITH THE SEASONS - It is cheaper to shop seasonally. It also pays to know when the "peak" of the season for fruit and vegetables are in your region. 3. CHECK OUT STORE BRANDS - All of the company's private label products must adhere to high-quality standards while offering great value 365 days a year. 4. WASTE NOT, WANT NOT - Buy bargains in quantity and freeze extra product. When shopping, think about creative ways to use leftovers, giving them new life in soups, salads, and sandwiches. 5. BULK UP - Shop the bulk grocery bins, which can frequently be more economical. But don't forget to compare prices in bulk to 365 Everyday Value, as store brands can be less expensive at times. To help customers navigate store aisles to find the best in-store specials and bargains, Whole Foods "Value Gurus" have recently begun hosting weekly store tours, the retailer said. "We invite customers to take a Value Tour and learn how to shop Whole Foods on a budget," said Michael Bepko, Whole Foods "Value Guru" for the company's flagship Austin store. When produce is packed and shipped over long distances, there's more time for a bacterium like salmonella to colonize. Once the germs come in contact with a tomato, it takes about 90 minutes for them to attach themselves to the surface. Then, under suitable conditions, the colonies of microorganisms will eventually cover the surface of the tomato, says Kaletunc. If the tomato has any cuts or bruises, the salmonella can also grow inside the fruit, where it can survive even if the tomato is washed thoroughly. Florida's new record-keeping rules may be key to protecting the industry in the future. Tracing contamination is much more difficult with produce than it is with a packaged product, like cereal, where there are tracking codes stamped on the box. It requires documentation at every stage, from where the tomato seeds were purchased to which labor crews were used to where the produce was sold or repacked. But the benefits are there for farmers, even if the paperwork seems onerous. The Florida tomato growers went to the Florida legislature last year and requested oversight and inspections to prevent these outbreaks. "We want mandatory inspections to bring everybody that handles tomatoes in the state in the loop to comply with food safety," said Tony DiMare, vice president of Homestead-based DiMare companies, one of the state's largest tomato growers. "We wanted to take a proactive approach and stay ahead of the curve." MAITLAND, Fla. (June 11, 2008) - Florida's tomato growers enthusiastically welcomed the U.S. Food and Drug Administration's announcement that consumers are clear to eat tomatoes harvested in 19 Florida counties. The counties encompass the Ruskin-Palmetto and Quincy areas of the state, Florida's prime tomato-producing regions. The FDA said the following counties are not associated with the outbreak of salmonella saintpaul: Jackson, Gadsden, Leon, Jefferson, Madison, Suwannee, Hamilton, Hillsborough, Polk, Manatee, Hardee, Desoto, Sarasota, Highlands, Pasco, Sumter, Citrus, Hernando and Charlotte. The Florida Department of Agriculture and Consumer Services worked with the FDA to get the counties added to the "safe to eat" list. Growers will provide a certificate issued by the state with each shipment of tomatoes verifying they were harvested after May 1. The Tomato Growers Exchange urges restaurants and supermarkets to contact their shippers for more information. The losses already incurred by the state's tomato industry during the outbreak are major. Growers estimate that ultimately the economic impact will be more than $500 million. "Until now, the market has been in complete collapse. Crops have remained in fields, packinghouses and in the distribution system," Brown said. "The losses are staggering." No illnesses linked to Salmonella saintpaul have been reported in the Southeast, a primary destination for Florida tomatoes this time of year. "It's unfortunate that anyone has become ill. However, we've had confidence in our tomatoes all along - we just had to wait for FDA and the CDC to do their trace-back work," Brown said. The Florida tomato industry remains committed to the production of a safe product. Florida is the first state in the country to adopt a comprehensive food safety program with mandatory government inspection and audit of its tomatoes. "Those involved in the growing and marketing of fresh tomatoes voluntarily incorporate food safety as part of their everyday business practices," he said. "We're committed to taking the steps necessary to ensure consumer confidence in our crops." Critics of big industrial farms say that the latest foodborne outbreak has given a boost to the local food movement, which promotes buying produce from nearby farmers (advocates are sometimes called locavores). And it's not hard to see why consumers might make the leap from thinking that if the FDA says homegrown tomatoes are OK, then tomatoes bought directly from small farmers might be the next best thing. "With each incident, it's pushing people more and more to buy locally and from family farms," says Craig Minowa, environmental scientist with the Organic Consumer Association, a group that avidly supports local, family farms. "So much so, in fact, that farmers' markets across the United States are recording record sales this year." And it's true that the number of people buying from farmer's markets, food co-ops and small vendors is growing. The bulk of all produce consumed by Americans still comes from large growers and distributors, but the USDA reports that farmers' market and direct-to-consumer farm sales rose by almost 19 percent between 2004 and 2006. In 1910, Ben Miller, a German sausage maker, began manufacturing smoked meat products in Oakland, California. The company remained in the same facility until 2002 when a new state-of-the-art plant was built in Lodi, California. Today, Miller continues to produce only high quality products using the finest ingredients and natural hickory smoke. Miller’s brand hot dogs and sausages are made with no allergens and no gluten in small batches using only fresh, lean beef that is seasoned from a secret family recipe. Real smoked flavor is then baked in with Miller's state-of-the-art smokehouses. Miller's products are available in a wide variety of sizes ranging from traditional family picnic size to specialty a half pound hot dog perfect for tailgating. US Foodservice San Francisco is offering two Miller Angus Beef Hot Dogs. Both are the only Angus dogs on the market made with fresh, never frozen angus beef. One is a 4 to 1, 6" skinless hot dog, while the other is a 6 to 1, 8" old fashioned style hot dog with a natural Sheep casing that gives it a terrific pop! Contact Brian to order the Miller's Angus Hot Dogs today! The Isleton Chamber of Commerce announces its "Isleton Crawdad Festival 2008" during Father's Day weekend, June 13, 14 & 15, 2008. Isleton, which offers scenic, riverfront elements and historic significance to the State of California and its residents, prepares for 50,000 guests and visitors to this highly anticipated, annual festival. Join us in celebrating the tradition of Louisiana-style family fun, with plenty of hot crawdads for everyone, as well as other food vendors and lots of crafts booths. We will also have live entertainment and will be updating this website periodically and listing the bands that will participate. Event: "Isleton Crawdad Festival 2008" Presented by the Isleton Chamber of Commerce. Friday, 12 noon – 10 p.m.
Saturday, 10 a.m. – 10 p.m.
Information: (916) 777-5880 For media inquiries to cover the event, please contact Linda at the Isleton Chamber of Commerce. The Isleton Crawdad Festival, presented by the Isleton Chamber of Commerce, is the largest consumption of crawdads outside of Louisiana. Over a 3-day period, the small town of Isleton, CA (Population 860) will hold the 23rd Annual Crawdad Festival on Father's Day weekend. The City of Isleton is in the "heart of the California Delta" between antioch and Sacramento on Highway 160. The Crawdad Festival is a real Delta festival geared for the entire family. The Festival has been Isleton's signature event since 1986, regularly drawing 50,000 or more people to the tiny Delta town with a fun mix of spicy food and Cajun music. More than 24,000 pounds of boiled crawfish will be consumed in just 3 days, and perhaps as much beer and wine. We will have bands playing Cajun, blues, and jazz sounds. There's also a mile of craft vendor booths. A carnival and a special area for young children will also offer a variety of games and fun. In 1853, Louis Lesaffre and Louis Bonduelle, two farmer's sons from northern France, got together to build a plant producing alcohol from grain and juniper berries at Marquette-lez-Lille. Originally, yeast was nothing more than a by-product from the process of manufacturing alcohol from the grain. In 1871 the Austrian Baron Max von Springer, owner of an excellent distillery at Maisons-Alfort, introduced from Vienna the idea of extracting yeast from the grain fermentation wort and selling it to bakers. Up until that time, the bakers had used their own sourdough, sometimes accompanied by residual brewery yeast. The following year, Lesaffre and Bonduele developed the process of manufacturing fresh yeast at Marcq-en-Baroeul, with the operation being housed in a former mill. The Societe Industrielle Lesaffre grew from this site. This company gradually emerged as the driving force and the platform for the industrial and commercial expansion of the yeast branch of the Group. By the turn of the century, the company was already selling abroad, with export destinations including Great Britain, Belgium, Switzerland, Italy and Spain. Although this may seem perfectly normal today, at the time it was a major feat due to the transportation and distribution conditions of the day. Following the Second World War, a series of technological breakthroughs and innovations, backed by establishment of an efficient export sales network, enabled Lesaffre to achieve sustained growth. A recognized master in the field of bio-industries, Lesaffre structured itself around its core activities: yeast, malt, and bio-conversions. In order to be geographically closer to its customers and to be able to offer them the very best possible service, Lesaffre went on to establish itself on a worldwide basis across five continents. In 1976, SAF-Instant® Yeast was first introduced to the US and Canada. The product was manufactured in France and shipped to the United States. After the initial introduction it was realized that the product, and the market, needed a baker's perspective. Therefore, the field sales and technical team evolved, over time and through attrition, into a group with many years of experience in all aspects of the baking industry. This presentation by bakers to bakers continues today. The 1980's proved to be a great period of steady growth. In 1982, a conference was held to ask a cross-section of the baking industry what we could do to make SAF Yeast the all around best choice. Establishing these relationships and our outstanding technical team, placed SAF Yeast on the road to an even higher level of quality products and services. Key locations were established in Pennsylvania, Kentucky and California to support this growing yeast market. In 1986, to better serve the markets, one central office was established, in the historic Grain Exchange Building in Minneapolis, Minnesota. In 2001, the headquarters moved to Milwaukee, Wisconsin. Shortages continue on small red apples. Demand continues to exceed supply, and will likely do so for the rest of the season. Northern Mexico is struggling on seeded watermelons. This is expected to last into next week. Quality, however, is good, and sugar levels are high. Seedless watermelon is bountiful. New California crops have increased demand for and tightened the availability of trucks loading in California. The average nationwide cost of diesel gas is $4.70 per gallon which is 68% higher then last year. The average price for diesel fuel in California is the highest in the nation at $5.03 per gallon! Averaging 5 miles per gallon, long-haul trucks are spending 95 cents per mile on fuel!! 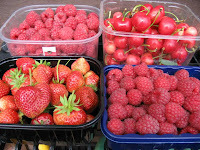 Please take a look at the summer fruit we have available on our Summer Fruit Flyer! Another heads up that Farm Raised Salmon is once again on the rise. The Wild King Salmon is just that....King! He rules with "Richly Colored Fillets" and "Full Flavored Meat". The fact that the Wild King is "High In Omega 3 Oils" is an incredibly healthy bonus!! What's not to love?!?!? Fish on!!! At King Island Dairy, our masterfully handcrafted and internationally renowned products are created using exquisite ingredients. Produced exclusively on Bass Strait's most remote island, our indulgent dairy products are made with pure and sweet King Island milk, produced from the herds which graze on some of the most lush and cleanest pastures in the world. King Island's maritime history reveals a story of shipwrecks and tragedies which have all played a key part in the island's culture. The infamous Roaring Forties gales which even today bring westerly winds of 100km per hour are said to have caused more than 60 shipwrecks along the island's treacherous coastline during the 1800s. According to legend, straw mattresses containing dried grass seeds were swept ashore from French and English shipwrecks and germinated in the rich soils, creating lush pastures. Discovered in 1791 to be the most geographically isolated island in Bass Strait and located on 40 degrees latitude between Tasmania and the Australian mainland, King Island to this day retains its pristine environment. The 110,000 wind-swept hectares are extremely fertile, enjoying moderate temperatures and year round rainfall, making it an ideal location to support the island's beef and dairying industries. More than 9,000 cows and 80,000 head of beef graze on some of the cleanest and greenest grass in the world and produce the best quality beef and most pure and sweet milk. King Island Dairy Roaring Forties Blue is a full flavored blue with a sweet, slightly nutty character, a rich mouth feel and good aftertaste. The rindless cheese is matured in its wax coating, which cuts off the oxygen supply, promoting its sweet and fruity flavor. The wax also assists in retaining the blue's moisture, creating a smooth and creamy texture. The cheese is named after the infamous Roaring Forties gales which frequently bring westerly winds of more than 100km per hour to the island which lies on 40 degrees latitude. Roaring Forties Blue has enjoyed unsurpassed success at industry awards around the country and the world, the most significant being the 2006 Champion at the 78th Annual British Empire Cheese Show in Ontario, Canada. cheese for frying or grilling. Halloumi is the traditional Cyprus cheese well known worldwide for its unique taste. It is distinguished for its quality and taste. Its the only kind of cheese which can enjoyed in such a variety of ways. Fresh as it comes, fried, grilled, grated on pasta or served with a big variety of fresh fruits. It is sold vacuum-packed in a little of its own whey to keep it moist. Halloumi keeps well; it can be refrigerated, or even frozen, for up to one year. After opening, re-wrap any remaining Halloumi in cling-film to prevent it from drying out and return to the fridge. Halloumi is not very high in fat and it is an excellent source of protein. Halloumi is very rich in Calcium that is essential for healthy teeth and bones. Recently, the United States Trademark Trial and Appeal Board struck down a challenge from Denmark regarding Halloumi’s name and ruled in favor of Cyprus. Halloumi is now officially recognized as a distinctive cheese indigenous to Cyprus “This was very important for us,” says Dennis Droushiotis, the Cyprus’ Trade Commissioner based in New York. “This is a unique cheese made by historical methods in Cyprus. For consumers to have a traditional cheese, strict standards have to be upheld and this is the case with the Halloumi. This is not some generic name. It is part of the fabric and national history of Cyprus. In Cyprus we actually have the Halloumi police. They visit stores and dairies on a regular basis to make certain the traditional methods are being upheld,” notes Droushiotis. Heritage: Kasseri originated in Greece and was made of sheep’s milk and sometimes goat’s milk. In Wisconsin, cheesemakers make a version of Kasseri that is a blend of 75% cow’s milk and 25% sheep’s milk. They also make cow’s milk versions that use cultures to make the flavor much like that of traditional sheep’s milk Kasseri. Description: Mild, piquant, slightly tart flavor. Firm, slightly crumbly texture. Cube this Greek-style cheese for cheese trays; grate or shred in cooked and baked dishes. Texture: Firm, smooth. Should not have pooled or free liquid butterfat. Fresh Mousseron Mushroom - are delicious, small wild mushrooms more universally used in France and Italy. This versatile mushroom has a fine, full-bodied almost aniseed flavor with a soft and chewy, fleshy texture. 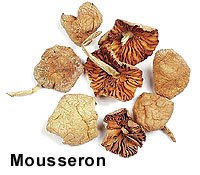 The Mousseron mushroom goes well with meat and fish dishes, omelet’s, stuffing’s, or mixed mushroom dishes. The aroma and distinctive taste of the delicious Mousseron is reminiscent of Porcini mushrooms, almost nutty, toasty, with a slightly bitter almond edge. Mousseron (Marasmius oreades), also known as Fairy ring mushrooms or Scotch Bonnett Mousseron mushrooms, are delicious, small wild mushrooms more universally used in France and Italy than in England - although it is well known and frequently used both in a fresh and a dry state in England. It's commonly found growing in "fairy rings" marked by dying grass in the center, on grassy lawns or in parks and cemeteries . Numerous conjectures were once put forth as to the origin of these rings when their fairy connection was no longer believed in. They were attributed to the out breathing of a lively subterranean vapour, to the burrowing of moles, even to the effects of lightning. The rings formed by Marasmius oreades increase in diameter with time as the fungus seeks new food. A number of studies measuring distance and growth rate have estimated that some rings of the M. oreades are probably centuries old and hundreds of feet across. The French call it faux mousseron, or "mushroom scythe", no doubt due to its nuisance potential for lawn destruction; eventually the grass inside the ring recovers, but along the borders the damage continues. One of the first mushrooms to appear in spring, the Mousseron mushroom tastes just as good as it looks. This delicious mushroom can actually be found in the U.S. year-round except during the coldest months in the appropriate areas of the Northwest. The fairy ring mushroom fruits abundantly during the warm months in the eastern United States, and all year in the west; they are most easily attained in California in late spring and summer after rain or periodic watering. European season is Spring and Autumn. Join Artisans in the charming Carmel Valley Village for an afternoon of wine tasting, artwork, food and live music presented by the Carmel Valley Chamber of Commerce. Mike's Road House is doing his annually car show in support of Graffiti Weekend here in Modesto Ca. 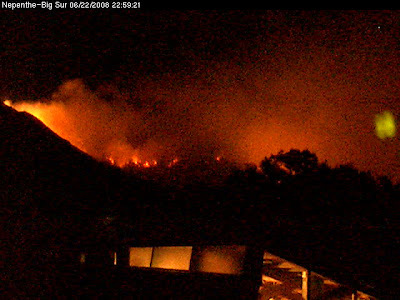 (June 5th 2008) This event is free of charge and will begin at 5:00pm and go through about 9'oclock. All parking will be supervised by Mid Valley Chevy Staff. There will be Fun, Food, Raffles and Live Music. All cars are welcome! Look forward to seeing you there! REGISTER AT LEAST TWO WEEKS IN ADVANCE OF THE SERVSAFE CLASS!!! Payment Method: Payment must be included with your registration and is payable by check only. 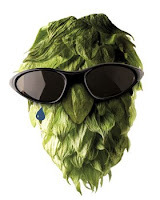 The origins of the hops shortage are linked to an oversupply a decade ago of the agent that provides flavors in beer that range from fruity to woody, said Paul Gatza, director of the Brewers Association. The glut sent prices plunging and caused farmers to plant fewer acres to hops. That included hops growers in Washington, Oregon and Idaho, the states that produce the commercial supply of US hops. At the same time, excess hops were converted to an extract to allow long-term storage and a supply that only now is being depleted despite the fact that production went below usage five years ago. Bad weather in Europe, an increase in the price of barley and a decrease in hops production in the U.S. has lead to a price increase of 20 percent for the most widely grown varieties, to 80 percent for specialty hops. Hops farmers in the Pacific Northwest are scrambling to boost acreage by an estimated 8,000 acres, an increase of 26 percent. It will take several years before the additional acreage can be harvested. Contracts with the large brewers, and the buying power of foreign dollars have created a further demand on domestic hops, leaving craft brewers scrambling to secure hops. Craft breweries make up 4.0 percent of US beer production by volume, but account for 1,406 of 1,449 breweries nationwide. Some brewers are looking at other bittering agents as a substitue. Ginger is an easy to obtain, safe ingredient. Yarrow and woodworm have both been used by modern brewers with some success. rosemary is also a bittering herb - food safe, obviously. On behalf of the Tournament Committee for the Anthony Nicholas Narigi Baseball Endowment Fund, we would like to invite you golf with us. Golf is $165 per person and includes your entrance to the Putting Contest, Hole-in-One Contest on all Par 3’s, Tee Prizes, Car Hole-in-One Contest, Million Dollar Hole-in-One, the Silent Auction and Lunch & Dinner. 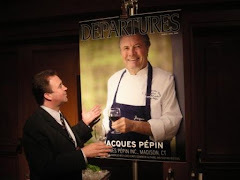 Dinner tickets are also available for $65.00. If golf is not your thing and you would still like to participate, we have a number of volunteer opportunities open. The Anthony Nicholas Narigi Baseball Endowment Fund has been set up as a memorial to a fine local young man who devoted much of his passion in life to the sport of baseball. 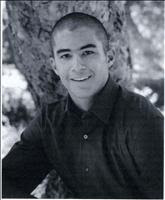 Anthony loved baseball and was a talented pitcher who grew up playing Little League, Pony, Travel ball, High School and Junior College ball. He was devoted to the sport and would be thrilled to see other players have the opportunity to pursue their dream, utilizing the financial assistance provided by his endowment. Sign up forms for golf or the dinner are available in the Human Resources office at the Monterey Plaza Hotel. John Richard "Jack or J.R." Simplot (January 9, 1909 – May 25, 2008) was the founder of the J. R. Simplot Company, an agricultural supplier specializing in potato products. In 2007 he was estimated to be the 89th-richest person in America, at $3.6 billion. At the time of his death in May 2008, at age 99, he was the oldest billionaire on the Forbes 400. Born in Dubuque, Iowa, in 1909, he was the third of six children of Charles R. and Dorothy Simplot. A year later, the family relocated to south central Idaho to homestead in the newly irrigated Magic Valley. J.R. quit school in the eighth grade, at age 14, and left home to strike out on his own in 1923. He then worked on a farm near Declo, getting into the potato and other vegetable processing business. By World War II, the J. R. Simplot Company had become the largest shipper of fresh potatoes in the nation. In 1945, Simplot's Soilbuilder/Grower Solutions organization was formed, and Simplot established a canning and dehydrating quick-freeze plant in which employees tested frozen potato products. The Simplot Company is credited with pioneering the first commercial frozen French fry in the late 1940s. In 1953, Simplot patented the frozen French-fried potato, an invention of his scientists that would later make him billions. In 1967, Simplot shook hands with McDonald's founder Ray Kroc, and the two agreed that the Simplot Company would provide frozen French fries to the restaurant chain. Previously, McDonald's restaurants had cut potatoes at each location for fresh French fries, but the favored Russet potato was not available for three months in the summer, leading to a quality control problem. Simplot was able to supply frozen Russet potatoes all year long. By 1972, all McDonald's fries were frozen. Simplot died suddenly of natural causes at his home on May 25, 2008, with his wife at his side, following a bout of pneumonia from which he appeared to be recovering. Joyful, smiling, shaking hands, "Mr. Simplot was fluent in the universal language," said Larry Hlobik, president and CEO of the J.R. Simplot Co., who opened Simplot's memorial service at Qwest Arena. "He was always real and from the heart." About 1,000 people gathered Sunday to celebrate the man who put Idaho on the map and Idaho potatoes into dishes around the world. Simplot loved the Boise Philharmonic and loved to sing. During the service, the philharmonic played some of Simplot's favorite arrangements, including "Battle Hymn of the Republic" sung by the Boise Master Chorale. Simplot, a billionaire best known for providing McDonald's Corp. with its frozen french fries, died May 25 at his Boise home at age 99. Two weeks earlier, he had celebrated the birth of his first great-great-grandchild. Son Don Simplot said J.R. was convinced he would live to be 100, and the family was, too. "He was doing so well," Don said with a laugh. "I was sure he had some money on it. He bet on everything." Always up for a game, J.R. had probably gone through one or two decks of cards a week for almost 100 years, Don said. J.R. was a facts man and religion just didn't add up for him, Don said. "Dad had his own faith," Don said. "He told (his wife) Esther it was so special he didn't want to share it with anyone because they might steal it." Don summed up J.R.'s personal religion with a quote from the Dalai Lama: "There is no need for temples or complicated philosophy. Our heart is our temple, and our philosophy is kindness." Grandson John Otter noted that J.R. always had time for family. One time when John was planning to run a race around Payette Lake, J.R. insisted on driving him to the starting line. As the clock was ticking down to the start, the runners packed closer to the line. Muscles tensed and J.R. yelled from the sideline, "John, you find somebody you think you can beat, I'll back you for 500," John said. 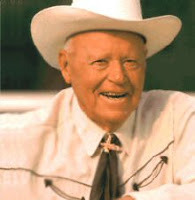 Former Idaho Governor Phil Batt recalled that J.R. used to talk about living to 100 by buying new body parts as old ones wore out. He had the enviable ability to make you feel like you were the one he wanted to see," Batt said. "He had an instinct for making money and the heart to give it away." Don Lubin, who served with Simplot on the McDonald's board, remembered how Simplot had lent him his Lincoln with the Mr. Spud license plates. Boise police pulled Lubin over because they thought the car had been stolen. They were even more suspicious when Lubin pulled out a Chicago driver's license, Lubin said, but J.R. vouched for him. "Jack's twilight years were much brighter than most people's daylight," Lubin said. "He had a pioneer spirit. He knew no bounds." Tommy Basabe, who runs Simplot's Land and Livestock Division, introduced himself as Jack Simplot's plumber. He said Simplot has been in his life for 50 years. "And I mean IN it," he said. "If the old man said it was gonna be OK, it was gonna be OK. He was the backstop for a lot of us." He called Simplot the icon of the Idaho rancher, pulling dollars through the small towns along the Snake River, from Blackfoot to Parma. "Everyone knew he was a gambler, but he wasn't a hip shooter," Basabe said. "He bet on his own judgment, and he drove that so deep in me it'll never come out." One of the biggest compliments J.R. ever paid anyone was "I gotta take my hat off to ya," an emotional Basabe said. Basabe left his hat in his pickup and asked the guests to indulge him in a round of applause for J.R., which led to a standing ovation. The family had prepared several photo montages of J.R.'s life set to music - including snapshots of Simplot pheasant hunting, country dancing, getting a hot-dog at Brundage, and with Ronald McDonald - which were interspersed throughout the service. Simplot also now has a permanent seat at Qwest Arena, H102, which was decorated with flowers. Grandsons Michael Simplot and John Otter hosted the ceremony, sharing stories of their life with J.R.
"He always tried to define big for us," Otter said. "And when he did, he was usually on the rangeland, looking up at the big blue sky."